At the heart of the most dramatic blues performances is a sporting event—a Cutting Session, when two guitarists go up against each other like boxers, jutting and thrusting with their best riffs and wildest showmanship until one player is crowned by the audience the winner. And then … up comes another competitor, looking for scalp. 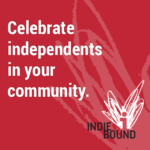 In Cutting Time, our novel set in the South Side Chicago blues scene in 1963, it’s a young “whippersnapper,” Willie Lee Reed, who’s going up against the older King of the Blues, Heddy Days. Their confrontation opens the novel, and in a long, exhilarating chapter they use every trick and power in their guitars—and their souls—to conquer their opponent. And of course only one man can win…. The novel then shifts to Gary, Indiana, where, in a kind of out-of-town tryout, Willie Lee Reed rouses a bowling-alley blues joint and lands a record contract with the scrappy, mob-tinged Viper Records. He also grabs a passel of trouble in the beautiful, devious, and soul-compromising presence of Betty Ann Norton, better known as Silver for the shock of pewter than runs through her black hair. Willie Lee has also picks up a couple new friends, Josh Green, a white pioneer in the black blues scene, and Esmé Hunter, a debutante from Detroit who falls for the sleek guitar player. Josh and Esmé do their best to help Willie Lee learn what he must, even as they bear the weight of their own secrets. In the cauldron of early-’60s Gary, racial battles flare. Romance blooms. Riots and murder erupt. Souls are wagered and nearly lost. But the central battle between the upstart Willie Lee and the master Heddy Days is never out of mind, and in an unforgettable climactic scene the two face each other again on the same South Side Chicago stage for the second thrilling time. It’s here that everything learned, forgotten, and known again comes into play. And still only one man can triumph…. 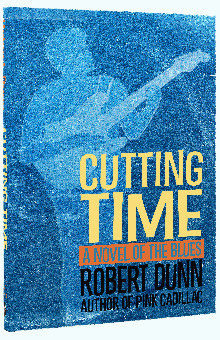 CLICK HERE to find out about the author of Cutting Time, Robert Dunn. Dunn’s novel is a great look into the Chicago blues scene of the 1960’s. The story centers around hotshot gunslinger Willie Lee Reed. Reed comes to town full of confidence and enthusiasm but soon finds out he has a lot to learn. Soon he befriends a white college student who loves the blues more than school and two diverse women. Much of the book centers around Cutting Sessions, guitar competitions where the old masters take on all comers. Reed is full of flash and style, but does not have the soul and inner feeling to knock off the champion. Dunn obviously has a vast knowledge of the blues and mixes his fictional characters into the real Chicago blues scene. Reed is one part Hendrix, one part Robert Johnson, but later on finds himself sharing a stage with Hendrix. Days seems to be a composite of various Chicago Bluesmen, yet there are references to Muddy Waters and B.B. King. No blues novel would be complete without a bit of the supernatural and Cutting Time is no different. Dunn takes the standard tale of bluesman sells his soul to the devil and turns it on its head. Reed’s devil is within, his own past long buried. Dunn only drops hints of the depths of the darkness and we never really see the results of Reed tapping into this. Reed also draws power from a strange little religious book that seems to hint that his true talent comes not from the Devils, but from somewhere else. In fact, Reed’s encounter with the dark arts sets him back and almost ends in disastrous consequences. It is very hard to describe music with mere words. That task is even tougher when trying to describe music as passionate as the blues, but Dunn does a very nice job. He balances the difficult job of being almost poetic with his description of the music, but never bogs it down with too much description. In fact the whole novel is written in a manner that is very vivid, but never loses itself in self-indulgent prose.